With a bustling cosmopolitan centre, amazing coffee, huge foodie scene, and trendy nightlife, Bogotá is one of Latin America’s coolest capital cities to visit year-round. Here’s how to make the most of a weekend getaway in Bogotá, Colombia. Start your weekend trip to Bogotá by either staying in Zona T or Chapinero (Zona G, Quinta Camacho, or Chapinero Alto sections). Zona T is where Bogotános go to party. It’s more of a commercial area with lots of restaurants, bars, and shopping malls, but lacks the character that you’ll find in Chapinero. If you want to be close to the action BOG Hotel, GHL Hotel Bioxury, and The Click Clack Hotel are stylish options near the nightlife. Either neighbourhood you choose is safe, walkable, and central for getting around the city. You can also read my post The Best & Safest Neighborhoods To Stay In Bogotá, Colombia for an overview of all the neighbourhoods in the city. Begin the day by getting to know Bogotá’s La Candelaria neighbourhood and surrounding areas. This charming colonial neighbourhood is lined with cobblestone streets and vibrant street art and one of the most visited areas by tourists. Grab a coffee and quick bite at Arte y Pasión, a charming café and barista school that prepares pour-over coffee right on the table for you. 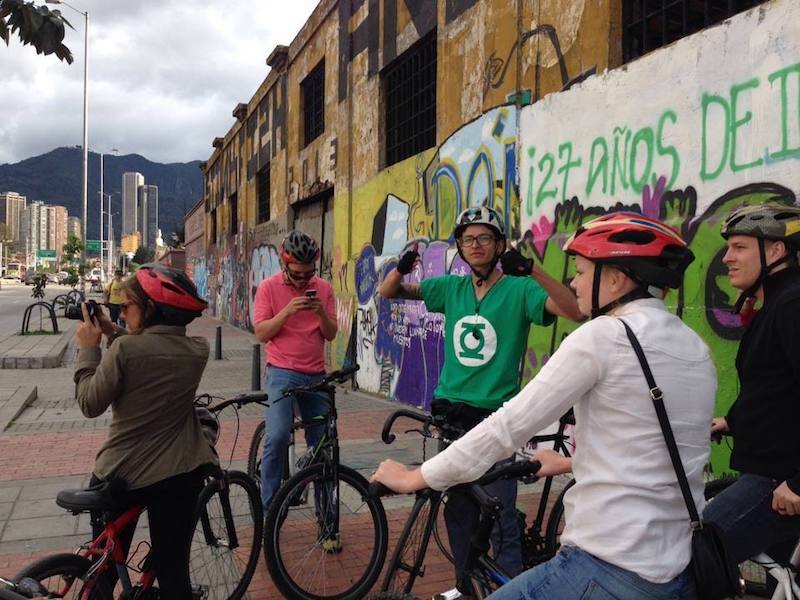 The bike tour ends where it began in La Candelaria and there are two more things you must do before you leave the neighbourhood: Try Ajiaco Soup and visit the Museo del Oro (Gold Museum). Now that you’re stomach is full, you can visit the Gold Museum (4K Pesos). This is something that kept getting left out during my trips to Bogotá and after finally visiting, it is something I recommend you must do! 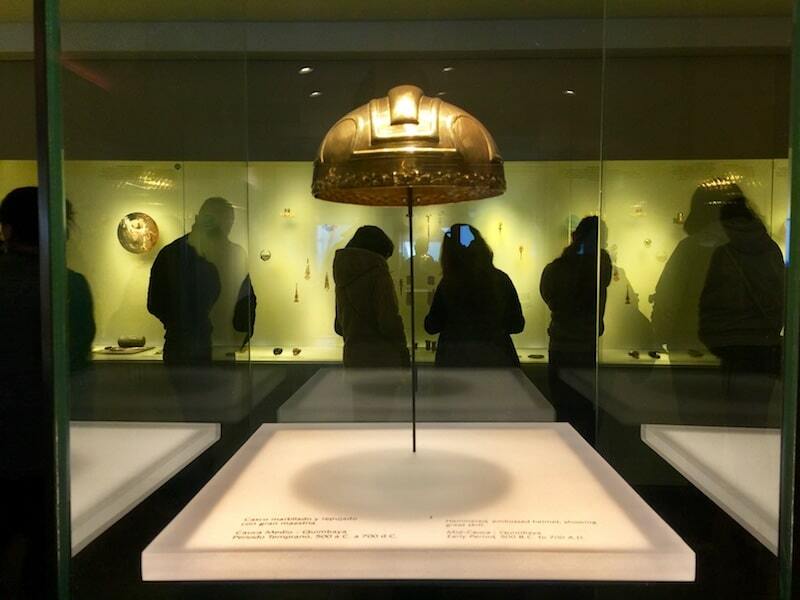 The museum is filled with over 6,000 artefacts of Pre-Colombian gold and it was incredible to see the craftsmanship and reasoning for each piece. 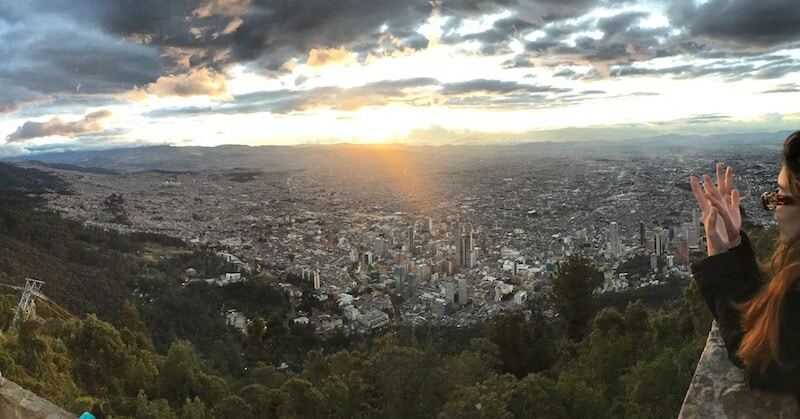 From the Gold Museum, take an Uber or taxi to Monserrate for a breathtaking view of the city. Once at the base of the mountain, there is a ticket booth where you can take a cable car to the top for 20K Pesos round-trip. This is always one of my favourite stops in Bogotá because it makes you realize just how huge this city is. Once you have a few drinks down, it’s time to party! The nightlife in Bogotá is amazing and you have so many options for a wild night out. If you want to party with Bogotá’s high-society crowd, then Floyd or Clandestino are the places to go. Floyd normally just has electronic music while Clandestino has a floor with Latin music and a floor with electronic music so you get the best of both. Or if you would like to party with Bogotá’s hipster crowd, El Coq or the iconic Armando Records is a staple in Bogotá’s nightlife scene offering several music ambiences. Begin Saturday with a local coffee and breakfast at Azahar Café in the upscale Parque 93 neighbourhood. This gorgeous café features modern design surrounded by windows to let the natural light in. They can prepare various brewing methods like Chemex, V60 (pour-over), and French press. I also love that they are pet-friendly and have an ALL DAY breakfast in case you had a late night out. After breakfast, it’s time to do some shopping. Bogotá has a creative scene of independent Colombian designers and boutiques with items that you cannot find anywhere else, making it an awesome shopping destination. La Percha, located in the Quinta Camacho neighbourhood, is a great spot to start. This neighbourhood looks like nothing else in Bogotá and is filled with restaurants, shops, and houses with mid-20th-century architecture. Walking through here feels like walking through an old English village. Once you’re hungry, stop by 7 Cabras for lunch, also located in Quinta Camacho. This Mediterranean inspired restaurant is one of my favourites! I ordered an appetizer of hummus and a main dish of seafood pasta and both were flavourful and the restaurant is very well designed. After lunch, if you would like to explore another area of the city, take an Uber to the La Macarena neighbourhood. This neighbourhood is known for its bohemian vibe and international cuisine. While here, you need to visit Café Origami. Hence the name, the café creatively utilizes origami in the design. Light fixtures, wall art, and figurines are all made out of paper. On Saturdays, they typically have free or inexpensive origami workshops at 3 pm. You should also walk around and explore some of the other dining options like empanadas at Grosso, Spanish tapas at La Taperia, or Colombian food at La Jugeteria. On Sunday you have to spend the day in the Usaquén neighbourhood. This is an artistic neighbourhood with historical Spanish colonial architecture filled with trendy shops, restaurants, and bars. Every Sunday, artisans from around the city set up booths for the weekly flea market and it’s entertaining to walk around viewing handcrafts and trying delicious homemade foods. 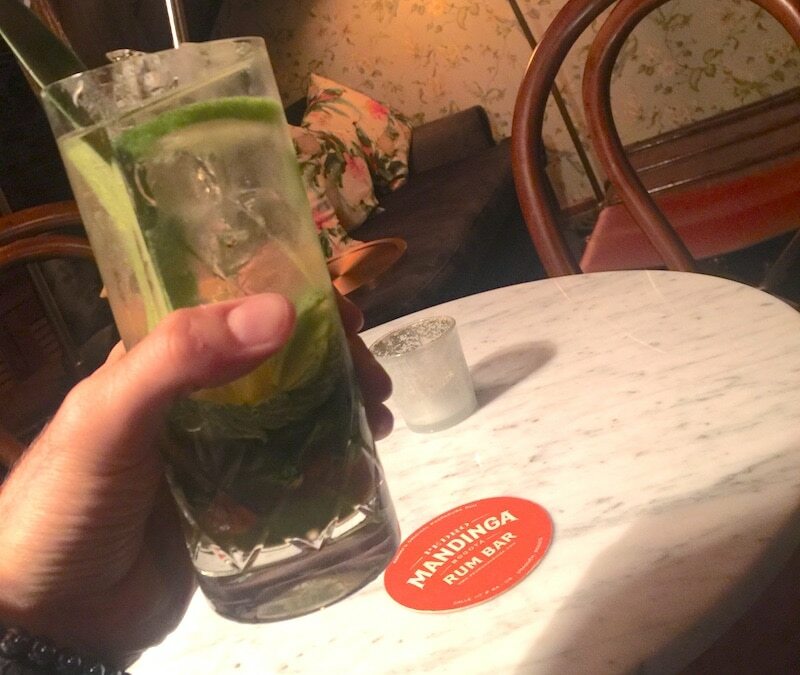 End your day in Usaquén with the best mojito I’ve ever had at Pedro Mandinga Rum Bar. I am a little biased on this one because I am a frequent customer at their location in Panama City, so when I found out they opened one in Bogotá I had to try it out. The design and ambience of this location has the same classic tropical feel as the Panama one and I felt right at home ordering a mojito. However, this location has three floors and I want to live on the attic level. It’s filled with comfortable sofas that will keep you hanging out for hours. This article was written by Joey Bonura and originally appeared on Bogotivo.com. Follow his adventures on Instagram. Club Elsewhere brings you compelling stories for and by the world. Contribute an article of your own by sending a message to the editor.